Pioneer Tree Service appreciates our customers who have trusted us with their tree services & tree removal needs. 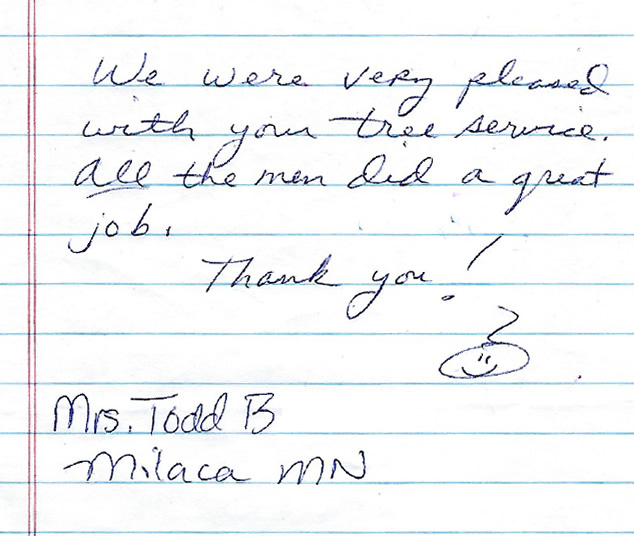 We have included a recent tree service testimonial from one of our Milaca, MN customers. 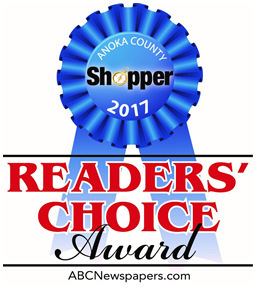 See more testimonials from our 30+ years of business providing services to Twin Cities and north metro area home owners and businesses on our testimonials page. Hire a professional, certified tree service company. Pioneer Tree Service offers tree removal and tree care from a trusted, local company with Certified Arborists on staff. The tree service professionals at Pioneer Tree Service are a dedicated crew, quality workmanship, affordable rates, fully insured, and Certified. The professionals with Pioneer Tree Service will also clean up your yard after completing the tree removal or tree pruning project.